We SAIFIAN AIRCON take this opportunity to introduce ourselves as one of the fastest growing Clean Room HVAC contractor and consultant especially dealing in Clean room system. We are basically an India based company. 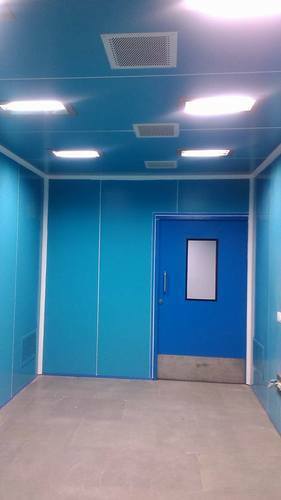 The company is established in 2011 with a clear target to help our customers where clean room is a prime necessity. Satisfaction of our clients is our ultimate aim. In the modern era of engineering we are not limited to technical skills we also incorporate industrial management technique for the effective utilisation of man, material and equipment for the efficient functioning of the HVAC System. In terms of quality we provide functional efficiency, good appearance, ease of operation, safety, reliability & maintainability. The term reliability combines all the aspects adequate performance, smooth operating and running conditions with time saving. We design our HVAC system by considering design parameters & standards and experts views or as per the requirement of our valuable customers so that it possess maximum efficiency, least maintenance required and reduce equipment failure. We believe in diverse business where we give first priority to our valuable customers and execute project in five stages i.e. Design stage, Installation stage, Commissioning stage, Validation stage and Operation stage so that client can manage their manpower planning, budget and life cycle costing. We never forget about economic parameters during providing our service such that it has least procurement cost and product cost which give high service and process characteristics or product quality so that it can be adaptive in future or redesigning capability. Our focus is on minimising completion time, meeting customer due dates, minimising project delay, response time and idle time. We analyse our strategy, product and service quality on the basis of quality assurance, continual improvement, expected quality outcomes, customer perceptions and factor relationship. For meeting the market demand we adopt advance technology, collection of data, alternative solutions and keeping change in products, processes or facilities. SAIFIAN AIRCON deals in turnkey projects in Clean Room applications. Our vision is to provide a economic & a state of art Clean room technology meant specifically for Pharmaceuticals, Surgical, Bulks, Food, Printing, Electronic and into many other fields where the micro dust creates hindrance to product or process in regard to compliance of international standard to our clients. We have a experience of more then 20 years in this field. We have extensive knowledge for setting up the clean rooms for any specific product. In addition we can guide our valued customers in layout of the manufacturing unit so as to achieve the best result which will in turn add value to quality and quantity. Our installed equipments have received all the Indian and International licenses. Our CAD & Engineering support provide design, Installation & consulting to our valuable clients at every step till the completion of projects. We are also maintaining closed relationships to regulatory and industry bodies to maintain our knowledge and expertise on a high level. We are a topmost Manufacturer of Air Handling Unit, Dynamic Pass Box, Air Outlet, Laminar Air Flow, Cable Tray etc. Our products are high in demand due to their premium quality, seamless finish and affordable prices.